Today is the winter solstice (өвлийн туйл / vlin toil/ in Mongolian)! Unlike the equinoxes (equal length of day and night), which last only a single day, the solstices last for 3 days! 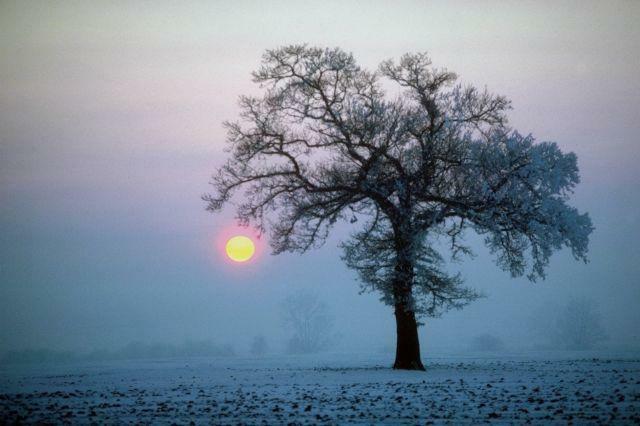 The winter solstice lasts from December 22nd until December 24th; three days of the shortest daylight, longest night. Then on December 25th, the Earth begins to wobble back the other direction, making it appear that the sun gets higher and higher in the sky. That's why the ancients of the Northern Hemisphere considered December 25th as the birthday of the sun! The sun "died" on December 22nd and "raised" from the dead or was reborn every year on December 25th! (That is why the Christians chose to celebrate the birth of their god on that day! No one really knows for sure when Jesus was born, except the Mormons, who say it was April 6th, but there is no actual physical evidence for that). Hence the traditions that we so often associate with Christmas are actually winter solstice traditions. Take the example of the Christmas tree. Where did that come from? Well, after many years of searching, I came upon the origin of the Christmas tree completely by accident, and in the most unlikely place: MONGOLIA! Now, when I use the word “Mongolian” I shall be referring to all the Mongol tribes collectively, including the Khalkhs and Buryats, and whichever others there are out there. According to Ms Grigori, the Mongolian village shaman was and still is very central and important to the winter solstice ritual. 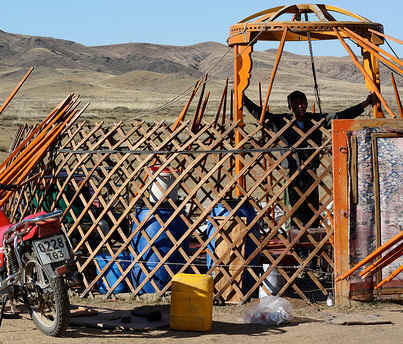 Villagers gather at the shaman’s ger, a circular tent or yurt. There is a central pole which represents the ‘mother tree’, “ej mod.” It is called other things too, like the “Tree of Life” and the “Pole of Ascension.” There are 81 ribs, representing the 9-times-9 pillars which hold the heavens apart from the earth. The ‘mother tree’ points to the North Star, figuratively of course. So, at the top of the ‘Tree of Life’ sits the ‘Star’. (Where have I seen that before?) While each human’s spirit has a home on a different star, the North Star is special. It is metaphorically called the “Heart of the eagle” or the “Compassionate heart of purification”. The villagers gather in the shaman’s tent, having brought gifts of local wares and placing them under the “tree”. In return for the gifts, the shaman undertakes a spiritual journey to the North Star with the help of some mushrooms on behalf of his benefactors-become-beneficiaries. The villagers are laden with spiritual burdens, which span the gamut from grudges to guilt. They want their “sins” to be cleansed from their souls. The shaman acts as an intermediary between them and the Great Spirit of the steadfast, unmoving, unchanging, eternal North Star. He takes the spirits of the unclean to the Heart of Purification where they are cleansed of all unrighteousness, then returned to Earth. Then, the Tree of Life, or Mother Tree, shimmers with the light of each purified soul, reawakened to or renewed by the light of the North Star. Truly fascinating stuff; is it not? Now, let us compare/contrast other winter solstice traditions around the world. Let’s start with my personal favorite, the Yuletide, of the Germanic/Scandinavian Tribes. “Yule” seems to mean feasting, while “tide” means season. The feasting began on the day of the death of the sun, December 22, accompanied by special prayers and rituals to “bring the sun back to life”. On December 24, the eve of the rebirth of the sun, a “Yule log” is put on the fire is and supposed to be kept burning all night long, to ensure that the sun is re-lit and thus, reborn. According to Robert Maza, the Romans had Brumalia, a winter solstice festival, from which we have acquired some of our Western traditions for Christmas. It was celebrated during the whole month of Dionysus (Greek Name), or Bacchus (Roman name), which lasted from November 24 or 25 to December 24 or 25. Interestingly, this is the same time period that we currently celebrate the Christmas season. According to my research from various sources, Dionysus was a Solar deity (and the Greeks had many solar deities, [which parenthetically include all the children of Zeus, whose name means "daylight"]. (Source). 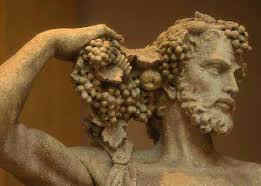 Dionysus turned water into wine in the grape vines. By the "shedding" of his life ( or light), the water absorbed the the roots of the grape vines turned into "blood". The wine produced from the grapes was considered the blood of Dionysus (the sun). Hence, the month of Dionysus was spent in wine-bibbing and merry-making. According to Wikipedia’s article on Dionysus/Bacchus, Bacchus was the god of communion between the living and the dead. He was also the great Liberator from life’s burdens through imbibing wine and making merry. However, Brumalia was not for worshipping Bacchus, but rather to worship the sol invictus, or invincible sun. On December 25, the sun was to show its invincibility by starting to “rise again” in the sky, basically to demonstrate its power over death. The eve of December 24 was particularly festive. Because of the same timing as that of Christmas, it is thought that the emperor Constantine changed the name of the festival from Brumalia to Christmas (as he was a Christian) and changed the meaning from sol invictus to Christ’s birth and ultimate triumph over sin and death. Christ also brought a message of purification through repentance and baptism, which I find to be an interesting correlation with many of the other winter solstice rituals. There is a book by Patricia Montley entitled, “In Nature’s Honor: Myths and Rituals Celebrating the Earth”. 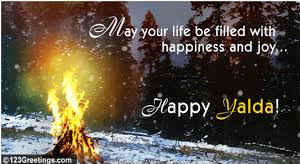 In it we learn that the Kalash people of Pakistan had a winter solstice festival called, “Chaomas”. 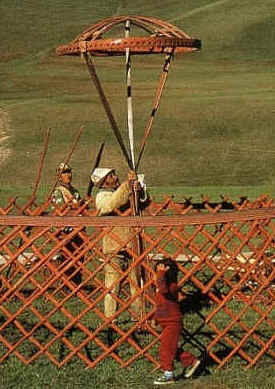 It was observed by lighting bonfires and conducting purification rituals. In the same book we learn that the ancient Zoroastrians of modern day Iran celebrated Shabe-Yalda, or the sun’s birthday, by lighting huge bonfires to insure that the sun stay lit. The Chinese, Japanese, and Koreans all celebrated the winter solstice anciently, but it has been almost completely forgotten by modern day people. The most interesting of all their traditions was the Japanese tradition of “Yuzuburo,” which involved taking a citron bath accompanied by prayers for spiritual purification, good health, and prosperity. In ancient Egypt, there was the Feast of Aset (Isis), celebrated around the winter solstice. Asar (Osiris) was killed by his jealous brother Set and resurrected by his wife Aset (Isis). 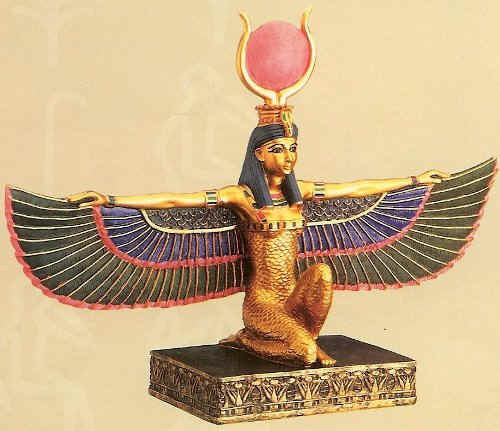 Osiris and Isis gave birth to Horus (the younger), who is the personification of the SUN!!!! 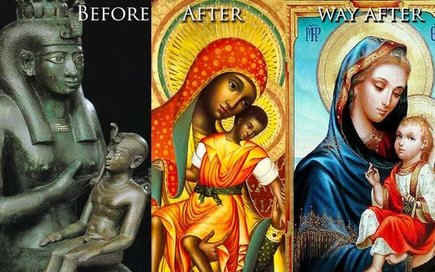 and together they begat Horus (the sun). It is the story of WINTER SOLSTICE!!!! That reminds me of the Scandinavian myth of Balder and Loki. Balder was the god of truth and light. He was associated with the sun. Loki was the god of mischief. Balder’s mother had asked all the plants and animals of earth never to harm her son, Balder, but there was one plant that she overlooked; it was mistletoe. Loki became jealous of Balder’s popularity and he was annoyed by the noise devoted to Balder’s praise. So, he clandestinely disguised himself as an old hag and visited Balder’s mother. He found out from her that there was one and only one living thing on Earth that she had not made contract with not to harm her son. Loki then made an arrow out of mistletoe, which he used to kill Balder. The gods resurrected Balder, however, and they made mistletoe promise to never harm another living thing. This is why mistletoe is used as decoration at winter solstice time. LoSar means New Year. According to the article I read on Wikipedia, it used to be on the Winter Solstice (but now it coincides with the Chinese Lunar New Year). It was celebrated for 15 days, but the first three days were the most important. One of the rituals associated with winter solstice (or LoSar) was going to a local spring and giving offerings and prayers of gratitude to the nagas (nature water spirits) for the water. People in Tibet prepare for LoSar days in advance by cleaning the whole house and decorating with flowers and/or juniper branches. Debts must be settled and quarrels resolved before the New Year. New clothes are acquired as well. All this is done in order to enter into the new year with everything "new," and clean, and fresh. It's like getting a fresh start. In conclusion, of all the winter solstice traditions that I have researched, the Mongolian one is by far the most fascinating to me. I am so glad that I went to Mongolia; because had I not done so, I would not have come across that fascinating winter solstice tradition. May we all join in the spirit of the Mongolian winter solstice tradition this year by purifying our hearts, by eliminating our grudges, by turning away from our guilt, and by leaving gifts of joy under the mother tree, which is humanity. This is my wish and challenge to you. May you have a happy winter solstice and may we leave the darkness behind us as the sun is resurrected once again. Lastly, I see the same theme over and over again. In Greece, we had Dionysus: personification of the sun, which died, shedding his blood (wine) and was resurrected. In Rome, we had Bacchus & Mithra; both personifications of the sun, which died and was born again on December 25th. In Scandinavia, we had Balder: personification of the sun, who is said to die and be resurrected. Also in Scandinavia, we had Thor: personification of the sun (as well); is said to fight Jormungandr (the serpent that encircles the whole world in darkness), and lose; only to be resurrected. 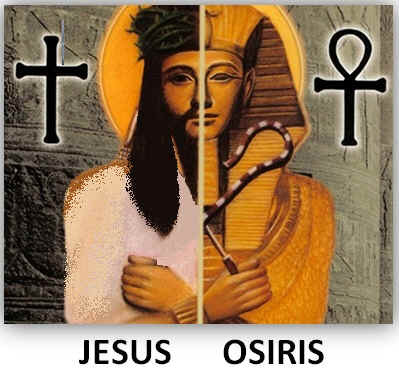 In Egypt, we had Osiris, who dies and is resurrected, as Horus, his son/sun. ...the real Jesus was NOT a type of winter solstice traditions. Modern winter solstice traditions have merged with Christmas. There are those who will not celebrate Christmas, because of the winter solstice traditions that have merged with it. This is their loss, in my humble opinion. I absolutely enjoy the traditions and I have no problem with celebrating a cosmological event in the same time that I celebrate the birth of one of the greatest teachers (and perhaps most greatly misunderstood teachers) this world has ever known. [Note: I don't like to call them Indians (as they have nothing to do with India) and I don't like to call them Native Americans (as I am a native American, but my ancestors came from Poland); So, I call them American Aborigines (the original Americans)]. Cusco's largest celebration of the year, held every June 24, re-enacts the ancient Inca ceremony welcoming the winter solstice in Peru. Inti Raymi is the Festival of the Sun, or Fiesta del Sol that continues an Inca tradition that dates back centuries. The Incas would hold an annual ceremony to celebrate the winter solstice. The name Inti Raymi is Quechua for new sun. In fact the festival is held entirely in Quechua, the language of the Incas, which is still spoken by millions of people throughout the Andes. Although it is not what you would have found centuries ago here, it is a lively ceremony and you can at the very least get an idea of how things once were with this majestic Andean culture. There is music, drums, speeches, dances, and other rituals that are re-enacted by the ancestors of the Inca. Held every June 24 amidst the colossal stone fort of Saqsayhuaman perched above the city, the event packs the crowds. Tickets are quite expensive for the better seats, although you can sit on the ground with the locals for near peanuts. The winter solstice marks a special storytelling time for native American communities. During that special literary season, they say, the sun is in the south corner of time. While Celtic peoples celebrated this special time [winter solstice] with feasts, some Native American tribes saw this unique celestial event in a different light. Among the Iroquois, it was a time of dreaming. Rather than staying up all night to celebrate the dawn, the People of the Longhouse turned in early, to sleep, to dream. As Mother Night reigned supreme, in dreaming they walked between the worlds of light and darkness, gathering great meaning from what The Great Mystery illuminated for them. At first light, the entire tribe would gather and each tribal member -- men, women, to the smallest child -- would stand and relate what visions they saw on this special night. The dreams would be discussed at length by the entire tribe for each vision's meaning -- for the individual, about the world, for the tribe.